At SuperCamps, having a great team of staff is crucial to ensuring that every child has an outstanding time. We carefully select staff members so that each individual has experience, knowledge and enthusiasm. We asked our on-camp staff what their favourite part of working at SuperCamps was and we were delighted to see that our staff truly appreciate the support Head Office offer them and of course, the enjoyment they have when working with children! We provide in-house training to staff members on every level to ensure that everyone works to our SUPER standards. Comprehensive training empowers staff to lead activities, manage welfare and ensure that all children are fully engaged in each activity. As a result, your children receive a high-standard of care in addition to a fun, exciting experience. SuperCamps has been providing exceptional childcare for over 20 years, so we know exactly what is required for our Multi-Activity Camps and Specialist Courses. 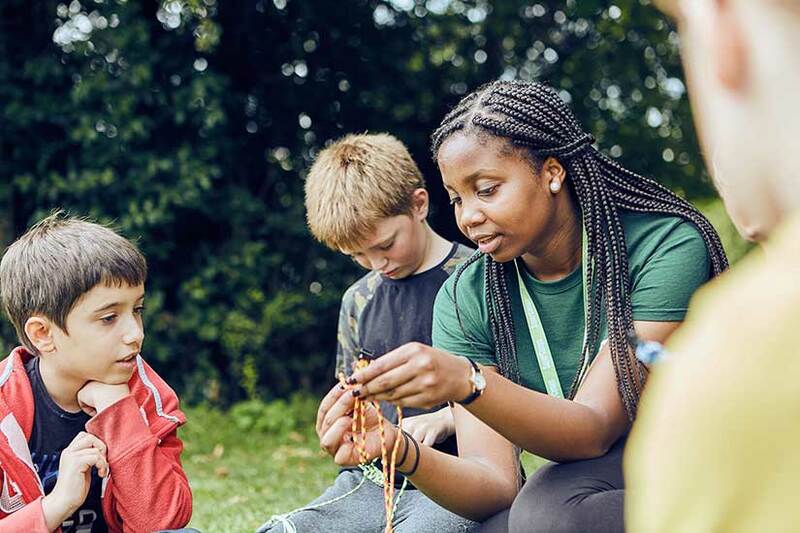 Our Head Office Team are available throughout the year to assist with planning, logistics and operations, so our on-camp staff can focus on what they do best – ensuring that your child has a fantastic and educational experience. We work closely with our venues to identify great facilities that can accommodate fun activities such as swimming, archery and bouncy castles. Our staff bring with them a wealth of knowledge and enthusiasm, which is then built upon during training. This means that instructors are qualified to tailor activities to respond to children’s feedback and meet the needs of their group, so your child will fully benefit from their time on camp. Our Activity Instructors and Camp Managers are chosen for their excellent attitude; they love working with children and are invested in each child’s development. This means that for all children, including those who need a little encouragement, SuperCamps is the perfect environment in which to flourish. We encourage our Activity Instructors to return for multiple seasons and many do; meaning that at SuperCamps, staff form important bonds with children that allow them to be a part of a child’s learning and development.